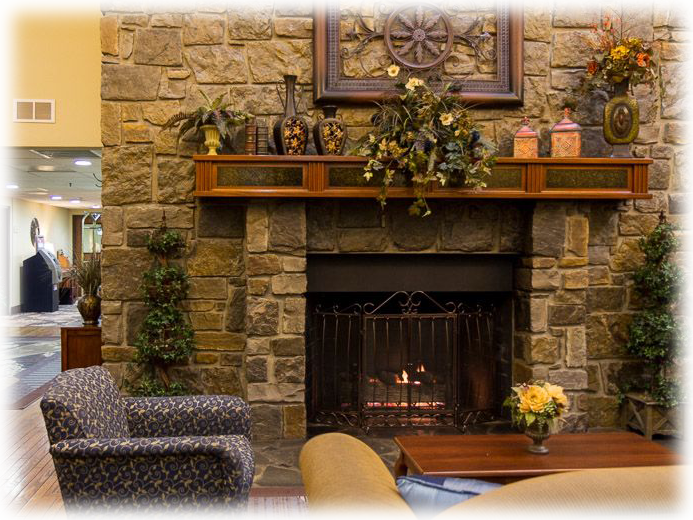 Step into the warm and inviting lobby of the Barrington Hotel & Suites – with its majestic stone fireplace and cozy seating areas – to find a reminder of the luxury hotels of long ago Branson, Missouri. A tribute to style, grace and beauty, we offer a quiet and serene Ozark Hills setting just minutes from the famous ’76 strip’ and many other attractions. The elegant design of the hotel’s social areas and 145 rooms and suites offers the perfect relaxing backdrop for business guests, leisure travelers and group getaways. 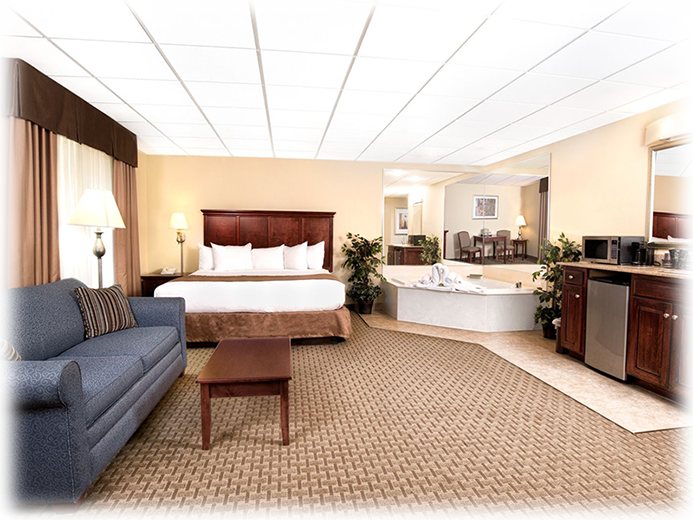 In each room, enjoy the full complement of guest comforts, including complimentary Wi-Fi, a flat-screen television with cable and comfortable King or Queen beds. Additional complimentary perks include a sumptuous hot breakfast, parking and coffee, lemonade and a water station in the lobby. Guest amenities range from an indoor pool and hot tub and business center. Whether you’re visiting to do business in the Branson area, attending a team sporting event at the Ballparks of America, or taking in the shopping and entertainment on the Branson Landing Waterfront, the Barrington Hotel & Suites is the ideal choice of lodging. 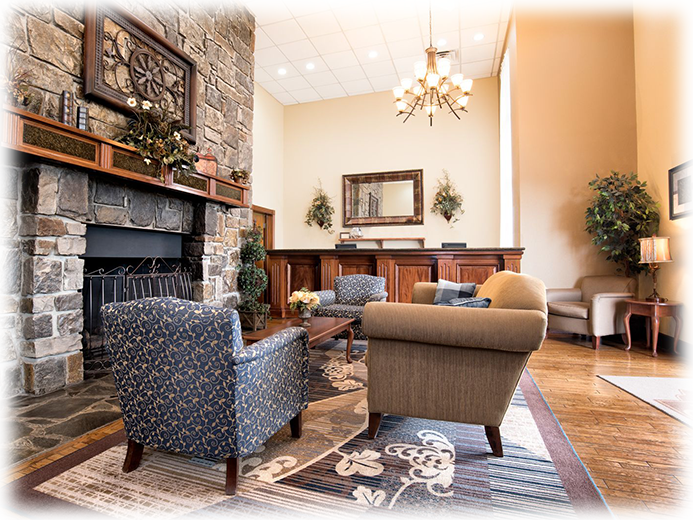 Whether you need to prep for a sales meeting or just want a quiet space to unwind, discover the perfect lodging for your next visit to Branson. Our 145 guest rooms and suites have been designed to provide a spacious, luxurious and cozy retreat for unwinding after a day of travel, meetings or exploring the area. We offer our guests exclusive discounts to thoughtful perks and add-ons. With a serene and relaxing setting in the Ozark Hills of Branson, Missouri, and three distinctive function areas, the Barrington Hotel & Suites offers a cozy, intimate backdrop for meeting and private events of up to 200 guests.